in the last 40 years. This is a naked-eye-sketch from my observation 8. Mar.- 76.
observe three components on line in the coma with my telescope! the beginning of this month. A very interesting object to observe in scope and 10 x 50 binos. I used pen and pencil on white paper and inverted. 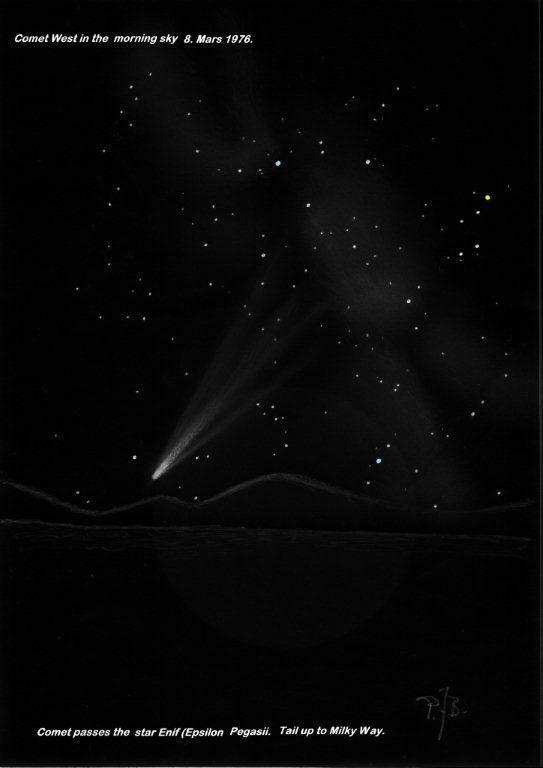 This was a spectacular comet that was briefly visible. Some sketches just stir something in you – feel as if I am there. Thank for posting it. This is a real fine naked eye sketch. A terrific and magical sketch!